After partnering with Reebok on the “Shanghai” pack in December, Bodega has tapped New Balance for its latest sneaker collaboration. The Boston-based retailer puts its spin on the athletic brand’s 997S silhouette, drawing on the footwear’s performance running history — hence the “no days off” moniker — while infusing its modern-day purpose as a lifestyle shoe. Fabrications including mesh, leather and distressed suede are utilized on the upper of the kicks, creating a multi-textural layered look. 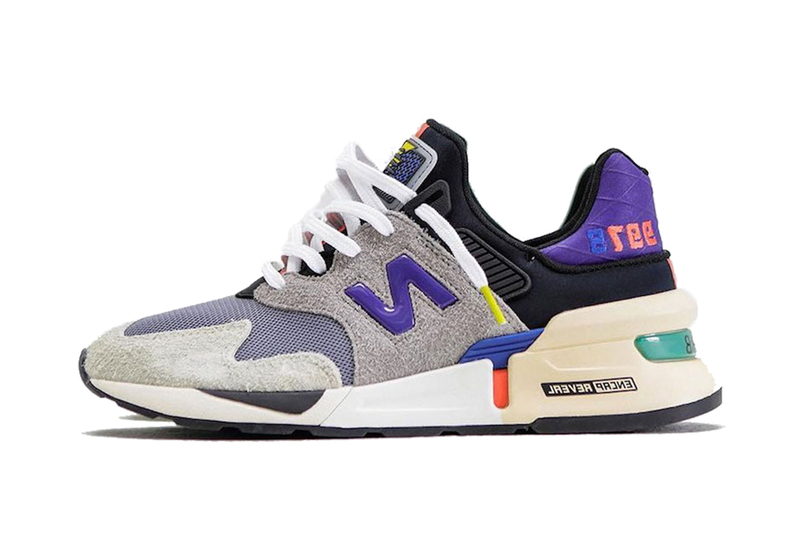 A neutral palette of gray and black makes up the body of the shoe, while “N” logos on the side panels add pops of color in orange and purple. Other branding elements include New Balance’s ABZORB and ENCAP cushioning, as well as the brand’s “997S” emblem, which are spotlighted on the heel. A curved mudguard and graphic-printed insole cap off the key features, while three different lace options (white, black and orange) complete the style. The Bodega x New Balance 997S “No Days Off” is priced at $160 USD. It releases exclusively on the NTWRK app on April 4, followed by an online and in-store release at Bodega on April 6. For more news from the lifestyle store, check out its VHS-inspired Vans Authentic collaboration.